Commerical mortgages are the quintessential secured transaction for business lending. The main collateral for many people and businesses is the real estate it owns. 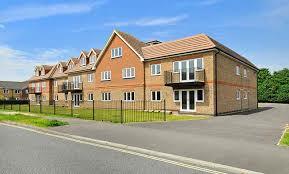 A commercial mortgage is a grant of a security interest on a parcel of the business’ real estate. Commercial mortgages allow for greater rights for the bank as compared to residential mortgages, which have greater consumer protections at both state and federal levels. Drafting best practices for your commercial mortgages are discussed in the video below: be advised – the terms must be in the mortgage BEFORE the foreclosure begins to maximize recovery and control costs. waiver of the right of redemption – very often lenders that do not get deep in the weeds of commercial lending for get this – looking at you credit unions – While redemption cannot be waived by consumer mortgages (residential mortgages) commercial mortgages – but if it is just business – you get what you negotiate. cross-collateralization languages why – to stave off a 2nd mortgage coming in and having its hand out when other debts secure your mortgage for more on this on our case law update series – PNB v. Banterra Bank. But we stress the 2 points any good cross-collateralization clause requires. Define indebtedness to include the note amount and all amounts that may be indirectly secured by the cross-collateralization provision. Define maximum indebtedness of the mortgage to be twice the mortgage debt to add more strength to cross-collateralization clause. Acceleration and deceleration clauses. Our Section council was discussing this last meeting and some were of the opinion that if the bank permits the borrower to reinstate – bring the loan entirely current – it can do so, but there should be some modification that provides for such – in addition to any judicial finding that permits the reinstatement as a borrower only gets one – for 5 years from the date of the dismissal. Link to the quoted material regarding recession risk related to rise in credit spread of investment grad bonds from Bloomberg.